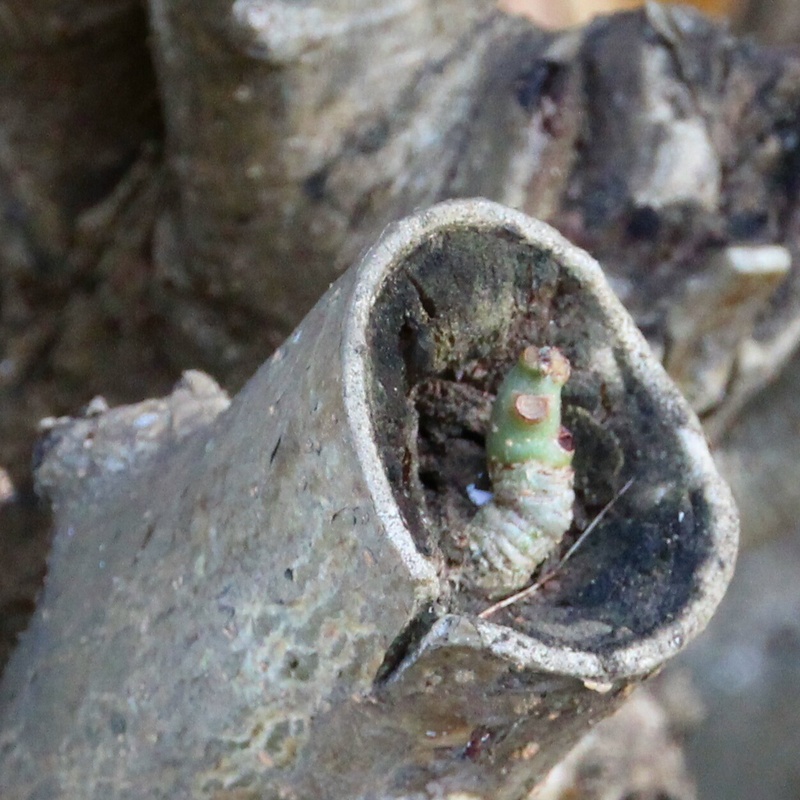 It looks like a worm, like a green caterpillar crawling its way inside a cut part of a tree’s trunk. I stared at it for more than a minute… Hoping to see it crawl its way to wherever it want to go. But it was motionless and still. I came to realize it was an outgrowth of the tree itself. 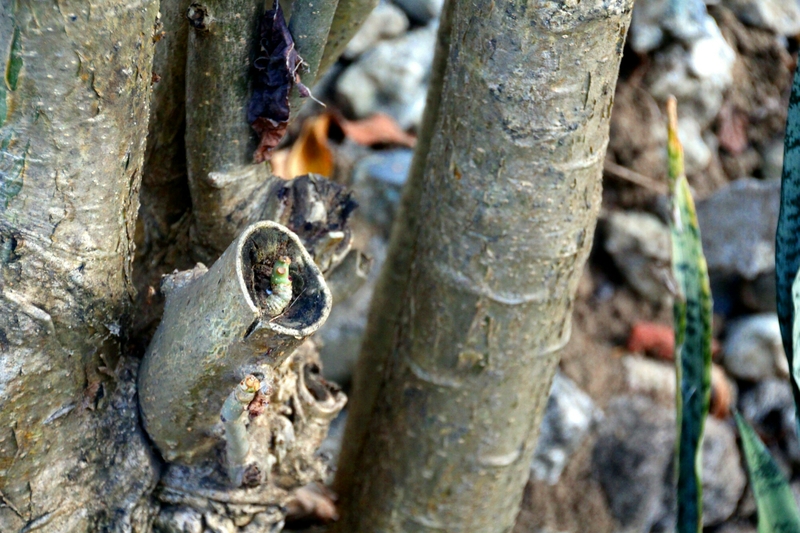 A little trunk growing out of the “mature” trunk… Like a tail of a lizard growing back. Mother Nature has engineered the trees and plants to regenerate itself! How I wish we were designed to do that as well… But it’s only a wishful thinking. Only mutants or any of the famous X-Men can do that…!